Fairfield provides all the attributes of a warm and loving home, alongside offering exceptional care and support to each and every resident. We know that listening to each residents and understanding their unique personalities, who they are and what they enjoy, is the best way of helping people feel settled. 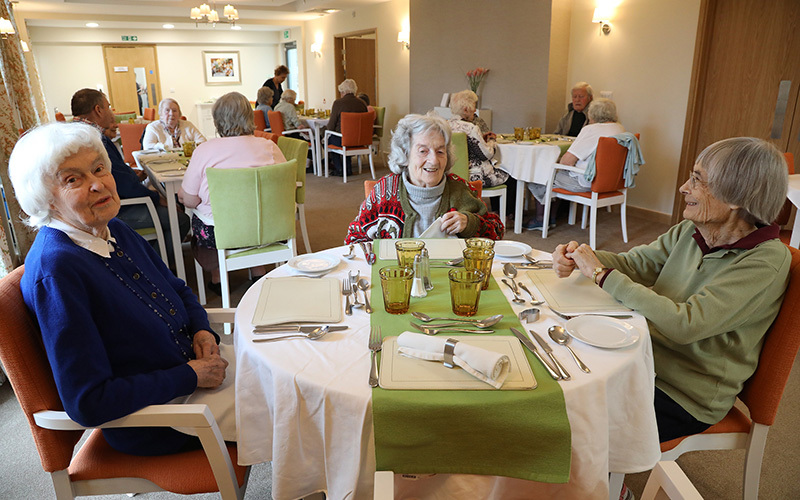 We provide an environment where residents can retain their independence, social lives, hobbies and interests and ultimately embrace their elder years. Alongside a calendar of activities, the home provides regular services including chiropody, hairdressing, optician and visits from the church and individual clergy. Residents are encouraged to become involved in every aspect of Fairfield, from menus and entertainment to room decor and gardening. We work on an individual care plan so that residents can fully enjoy life. Residents receive personalised care plans, detailing how each individual wishes to receive their care. Risk assessments are regularly carried out and plans are reviewed to reflect and support people’s changing needs.